It’s that time a year again! 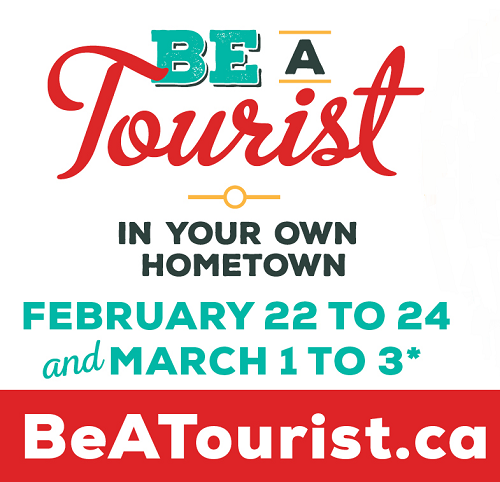 Be a Tourist in Your Own Hometown is back and full of amazing things to do right here in Victoria on the weekends of Feb 22-24 and March 1-3. Thousands of people flock to our city every year to experience the amazing food, craft beer, breathtaking wildlife and spectacular history of our hometown. Why not experience all these amazing things for yourself?! Here is the deal we are offering: Join us for 50% off a 2.5 hour whale watching & marine wildlife tour on board a 12-passenger zodiac vessel! With so many deals to be had, you can plan a perfect weekend packed full of local places to eat, explore and enjoy! 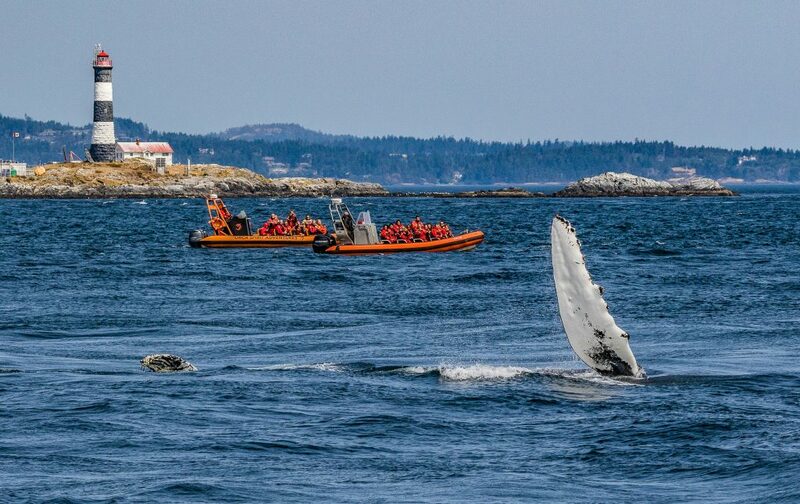 Why not start your day off with a fun-filled morning on the Salish Sea aboard a Zodiac Marine Wildlife Tour where you will have the chance to see humpbacks, orcas, seals, sea lions and marine birds. Nothing beats a refreshing boat ride on the Juan de Fuca Strait where you are surrounded by the picturesque Olympic Mountains and historic lighthouses along the way. Don’t let the fun stop there! Grab some delicious eats for lunch from local restaurants like Taco Stand or Pasta Forward. With tasty food in your stomach, you will be set to explore the beautiful Butchart Gardens. If you feel like staying indoors, you can opt for a brewery and sampling tour at one of Victoria’s famous craft beer or cider companies like Vancouver Island Brewing or Sea Cider Farm and Ciderhouse. You can even cap the night off with a theatre production at the McPherson Playhouse. The options for a perfect day are endless! With so many great deals and free offers, you are sure to fill an entire weekend with amazing things to do, food to eat, and places to explore. Re-discover why Victoria is a tourist destination for people around the world by being a tourist in your own hometown! Buy a “Be A Tourist VIP card” here. Once you have your card, give us a call at 250-383-8411 to book your tour, be sure to mention the “Be A Tourist” promotion!